ASPENWOOD MANOR offers a boutique hotel experience! Our guests use our suites as short term vacation rentals and corporate stay apartments in Provo Utah! Our extended stay Provo suites have everything you need to feel at home, away from home! Each suite is beautifully and thoughtfully decorated, and exceptionally clean. We have many different layouts, so you can pick the perfect floor plan for your needs. Amenities include linens, high speed internet (both wired and wireless), TV with Netflix, on-site laundry and more! Whether you are looking for corporate housing during your business trip in Provo, a family friendly hotel in Provo, a vacation rental for a reunion, or furnished extended stay apartments while you wait to move into a permanent home, we're your perfect solution! Aspenwood Manor was founded in 2008 and has since hosted thousands of guests from all over the world! 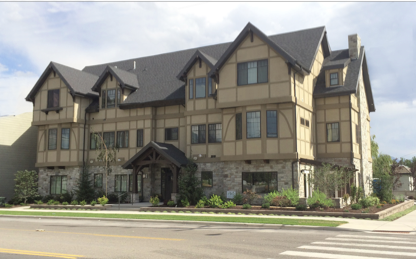 Aspenwood Manor was founded in 2008 when our beautiful 1908 "mansion" building underwent a massive renovation which included brand new wiring, plumbing, insulation, flooring, sheetrock, bathrooms and kitchens. Where possible, the beautiful original windows and woodwork were preserved. The renovation also provided the opportunity to add modern luxuries such as air conditioning, wired internet and cable in each room. The suites boast fine stone, tile, and woodwork as well as designer furnishings and luxury linens. In 2018, we again remodeled our building to add a brand new cottage, new landscaping and a new parking lot! 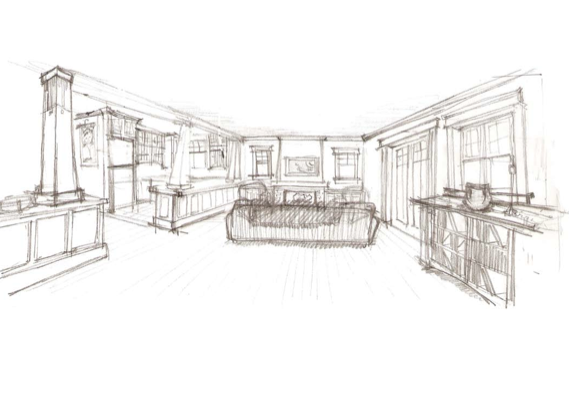 Since 2008, we've continued to grow and add 16 more beautiful suites ranging from 220-1500 square feet! In 2014, we built a brand new building. From the concept to design to the finishing touches, we had the opportuntity to ensure all the little details were included to welcome our guests to their home away from home! Provo has never seen a project built like this. Every single suite is unique and designed specifically to be energry and space efficient. 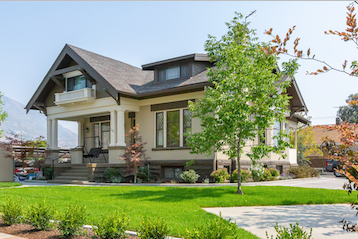 We were also able to feature some of the suites on the Utah Valley Parade of Homes (home show) in 2014. Since 2008, we've hosted over 6,000 guests from all over the world! We aim to provide the best luxury boutique hotel experience in the Provo, Utah area. We believe in providing quality, comfortable and private extended stay and vacation housing for our guests. Each suite is thoughtfully decorated, meticulously cleaned and well maintained to ensure that you feel safe and respected in your home away from home. 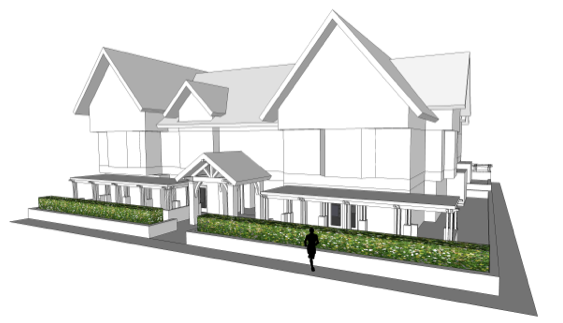 Why aspenwood manor and not a traditional hotel? First of all, we're the most in-touch and connected hotel you'll find! With a small staff, we love getting to know our guests! We even get to know the preferences (and sometimes the life stories) of our return guests and we love finding ways to customize and spoil our guests. When is the last time you called a Marriott to make a reservation and they remembered you! We've been in business for over 10 years, and we know this town inside out. We've even connected with some awesome local businesses to give Aspenwood Manor guests some extra perks and discounts! We want to be YOUR HOME BASE in Provo! Welcome to our home! Housekeeping is simple and comes only once per week to change your linens. Suites are self-check-in! Just enter with your code like you own the place! Beds are dressed with crisp clean sheets, plenty of feather pillows, and luxurious comforters. We don't have loud AC units eithere! We have mini-splits or full AC systems in our bigger suites. These keep the suites a perfect temperature for you! Kitchens are fully equipped with stoves, ovens, refrigerators, microwaves, small appliances and stocked with all of the utensils and pans you'll need to create homemade meals. In addition, we have a self-check-in procedure that is sure to win points with tired travelers! No standing in line at check-in! We offer the best rates in the area for our suites, and our suites are bigger and less expensive than the Marriotts! Also, most hotels don't have kitchens, which means you end up spending plenty on eating out. For a whole family, the cost of eating in restaurants can be overwhelming! At Aspenwood, you save time and money by utilizing the fully-equipped kitchen to prepare food. These suites offer all the comforts of home! We also have weekly rates and even lower monthly rates (tax-free!). You're not a nameless guest staying in a huge hotel with countless rooms. Your comfort and satisfaction is extremely important to us! When you call, you'll reach the same team of managers every time! We'll learn your name and do our best to make sure you are comfortable and taken care of. Making repeat reservations is as easy as sending an email! Our suites are designed to sleep 1-13 people each, so large families are welcome! You won't believe how great it is to have everyone sleep in one suite instead of renting multiple hotel rooms! Some of our suites even have built in playhouses and small beds that will delight your kids. We do not use perfumes or air fresheners and try to source the most natural cleaning products. We also try to cut waste wherever possible by recycling. We also donate damaged but still usable linens to shelters and other worthy causes.